Welcome, welcome, catch up on Kotaku from the week over at Kotaku Selects blablabla...on to the good stuff! 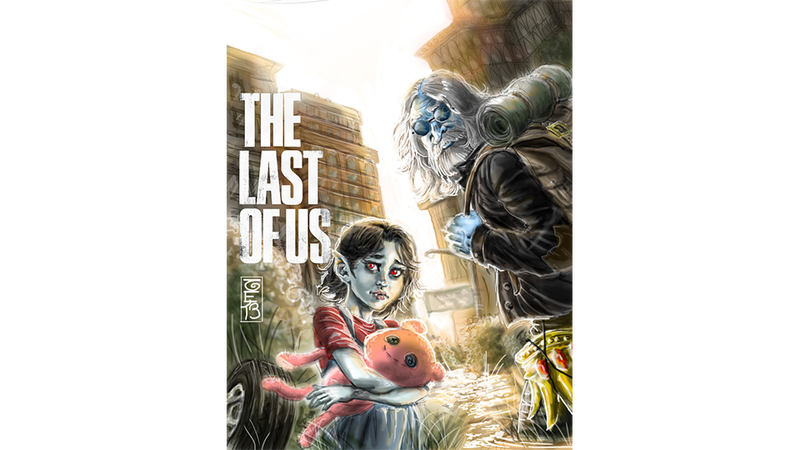 This amazing crossover piece by Uke-N-Melon depicts the hard journey of Joel and Ellie from The Last of Us in a slightly different setting. A possibly more awesome one than Naughty Dog's original. Seriously, I would play the hell out of the post apocalyptic journey of these two Adventure Time characters. And with the depressing thought that we will likely never ever play that crossover, I wish you all a good weekend. Tina out.